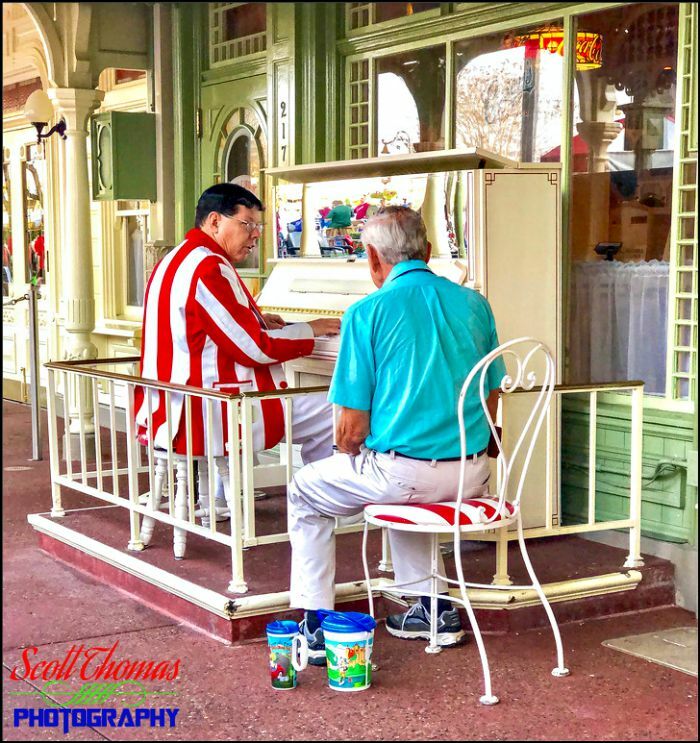 As I was resting on a chair at Casey’s Corner on Main Street USA in the Magic Kingdom, I could not resist photographing this exchange between the pianist and a guest. Notice when taking this photo, I used the telephoto (2x) lens on my iPhone 8 Plus. Casey’s Corner Pianist entertaining a guest on Main Street USA in the Magic Kingdom at Walt Disney World, Orlando, Florida. Apple iPhone 8 Plus, 1/120s, f/2.8, ISO 160, 6.6 mm (57.0 mm in 35mm) Focal Length. I processed this image in Lightroom Classic on my laptop which is a step I normally do not do with iPhone photos. I will be summing up my thoughts later this week on using an iPhone on this day.